Aqua ammonia, also called ammoniacal liquor, ammonia liquor or ammonia water is produced by dissolving ammonia gas in water. Its proper chemical name is Ammonium Hydroxide. The grades, or strength of Ammonium Hydroxide usually available commercially are 26° and 21° Baumé. 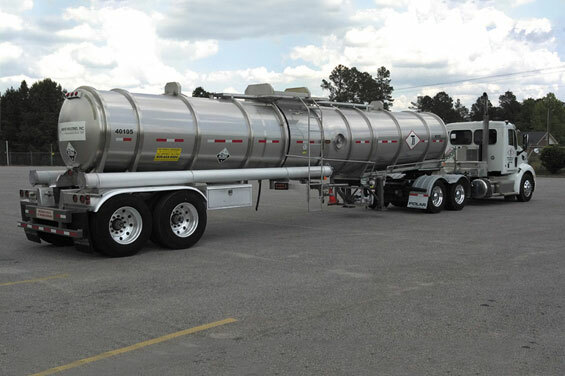 However, Tanner Industries, Inc. can produce any strength to meet our customers requirements. The Baumé reading refers to a specific gravity scale. A 26° Baumé solution is equivalent to 29.4% and 21° Baumé solution is equivalent to 19.68%, both by weight of ammonia dissolved in water. Since the Baumé reading varies with temperature, the reading is standardized at 60°F. The density of the material compared to water is 0.8974 (to see a table with more data download our aqua ammonia manual by clicking here to view the PDF). Aqua ammonia is corrosive to copper, copper alloys, aluminum alloys and galvanized surfaces. Aqua ammonia is an excellent acid neutralizer. Its pH varies with concentration. Typical values are 11.7 at 1%, 12.2 at 5%, 12.4 at 10% and 13.5 at 30%. The freezing point of a 26° Baumé solution is about -110°F. See the freezing point of other concentrations by downloading our aqua ammonia manual PDF. An aqua ammonia solution has a vapor pressure which varies with temperatures. At ambient temperatures, the vapor pressure of 26° Baumé material just about equals atmospheric pressure. Aqua ammonia should be stored in a closed container and kept cool, otherwise, the ammonia gas will come out of solution and the material strength will be reduced.